Remember seeing those Sesame Street and Star Wars behind-the-scenes videos, where Steve Whitmire and Frank Oz could be seen holding lifeless Muppets with blank stares high above their heads as the conferred with the director? The ones that made you realize that you've never seen your favorite character's feet because they didn't have any? Scoff if you like - you know very well that your first reaction was horror...and still is, to this day. Watch this without cringing, and then come back with your chest puffed out, Bruiser. 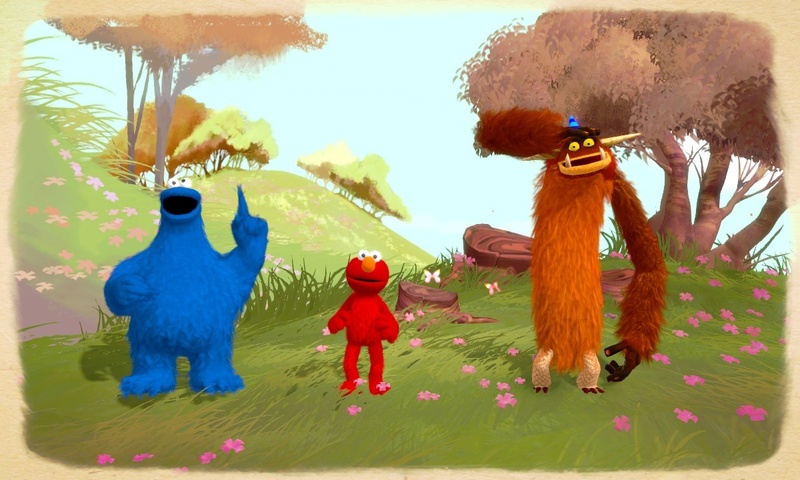 Anyway...for those of us normal people who were forever scarred by the Muppets Take Manhattan DVD special features, Double Fine seeks to restore the magic of the Muppets via Xbox 360 Kinect. 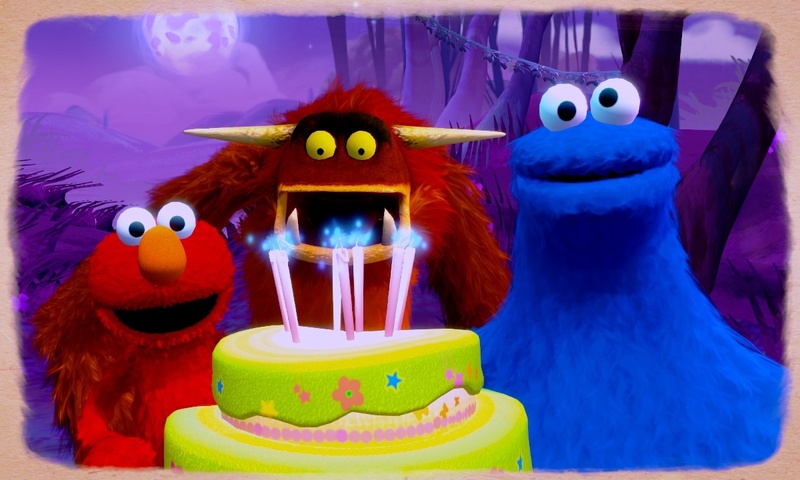 With Warner Bros Interactive publishing, the Tim Schafer-led studio will be releasing Sesame Street: Once Upon a Monster in Fall 2011. And the best part? They have feet again. The feet may be a lie...but the cake is not! Currently, no official co-op information is available - other than the press release's claim that kids and families will be able to play together, to make friends, and learn cooperation. 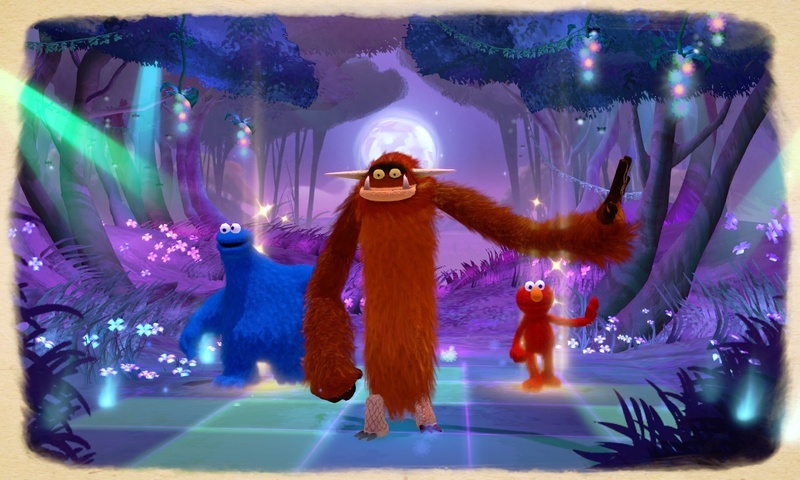 "Dancing, jumping, flying and more" will get you through the Once Upon a Monster living storybook plot in this original title built solely for the Kinect. Hopefully we'll soon hear more about cooperative gameplay possibilities; for now, we're just relieved that Cookie Monster still eats cookies (thank you, Double Fine!). Page created in 0.3387 seconds.